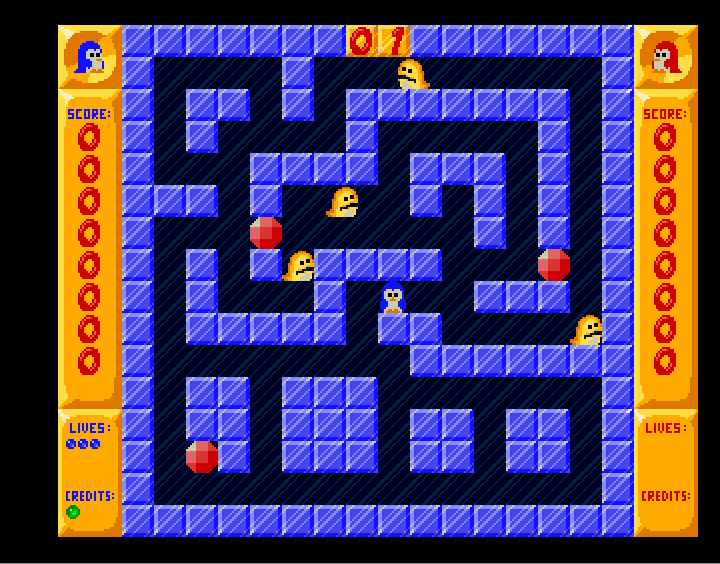 Between 1991 and 1994 Martin Rebas wrote seven shareware games for the Commodore Amiga but Pengo is definitely the jewel in the crown. The game was clearly a work of passion for Martin as he spent a full year developing it which seems indulgent when you release he completed his fun space invaders game Motorola Invaders 2 within a few days. The extra time was well spent as every element of the game from the music to the graphics ooze professionalism.